Many people think that a door is just a door and they’re always made of wood. Wrong! When you’re building a home and you’re asked to choose a door, you’ll be surprised that there are hundreds of choices and you may be overwhelmed by how they are different from each other. Yes, different door types and materials have different purposes, and you should know which one to put on which part of your house. Here are 5 types of door materials and the 5 steps to prepare each for painting. 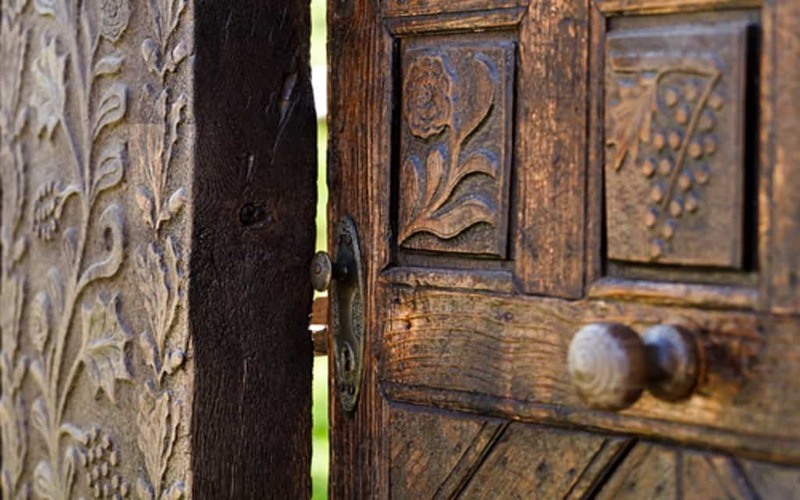 Wood is a sturdy material, which makes a pretty secure front door. Because wood can be easily managed, there’s an endless possibility of style, design, and finish you can do or choose from, making them one of the most versatile door materials. Carved – Some people go for intricate and detailed carvings for their entry door because the front door is the focal point of the house and it says a lot about the character of the homeowner. Having a front door that’s unique and special shows the same character for whoever lives in the house. Custom-made carved doors can be heavy in the pocket, though. Panel – Panel doors are usually used for bedrooms, cabinets, and other interior doors. It’s a five-piece door that consists of rails (the top and bottom parts), the stiles (the sides), and the panel/s in the middle. It’s also a good choice for front doors. Clean the surface to remove any dirt and grime. Apply wood filler to the cracks and holes, and then scrape the excess when it’s dry. Smoothen the entire surface using sandpaper. Apply a wood primer, and then apply the paint. Fiberglass doors are commonly used outdoors because they withstand humidity and all types of weather. Fiberglass doors also come in many designs because they can easily be molded and you can choose from a different color selection, or you can easily apply paint after thoroughly cleaning it. In fact, if you want the look of a wooden door but don’t have the budget for it, you can ask for a fiberglass alternative. They can be made to look like wood but with a more inexpensive cost. Although fiberglass doors are durable and may last for years, they are not as durable as wood and the other materials. Vinyl doors are made with durable and hard plastic material. They’re lightweight and extremely easy to set up. They’re similar to the fiberglass doors because they also come in different colors and designs. The paint application is also very easy and doesn’t require much preparation aside from cleaning the entire surface to remove the dirt and dust. Vinyl doors are very inexpensive, so it’s expected that they’re not as durable as wood and steel. They are best for interior applications because they can’t withstand extreme weather conditions. 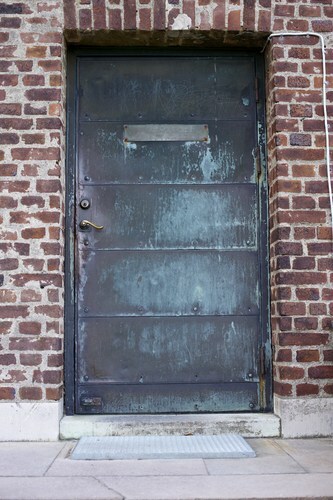 Steel doors are the most durable and secure of all the materials. They can be used for both interior and exterior applications. Steel doors are used when there’s a need for extreme security as in banks, jewelry stores, and the like. With enough coat of paint, steel doors can withstand any weather condition. They can be used and abused without having to do much maintenance. They can be used in both private homes and commercial buildings. Like all the other materials, there are also downsides to steel doors. They will eventually accumulate rust. They are heat and cold conductors. They don’t have much design and finish options. To prepare steel doors for painting, you just need to apply a metal primer before applying the paint of your choice. Make sure that every inch is covered from top to bottom. Rust may start from a spot that’s unpainted. A hardboard composite door is made up of medium density fiberboard or fibers of wood that are highly compressed, making them dense and strong. They are mostly used for bedrooms and other rooms inside the house. Hardboard doors are commonly used these days because of the smooth and shiny finish that looks great in any residence. They are also cost-effective and are readily available on the market. Just like the wood doors, the hardboard doors can’t be exposed to rain and moisture. They tend to swell and break apart if soaked in water for a long time. When used for baths or toilets, they need to be covered with plastic or aluminum sheets to protect it against water. Hardboard doors usually come in already painted and finished so you won’t need to paint them anymore. If you want to change their color, simply apply paint over the original one. With all these different types and materials used for doors, you should know when to use each of them to ensure that they last for a long time and that you won’t have to spend so much in maintenance or repair. Each door material has a corresponding application where they are best used. So if you’re shopping for doors for your home, use this guide to know which material can be used for every room or area of your house. Edward Flanagan is the founder of Edward’s Enterprises, a handyman service & licensed general contractor that has been improving homes and providing facilities maintenance in Southern California since 1996. Their handyman services include door and window repairs, painting, electrical repairs, and plumbing. Edward currently divides his time between Camarillo and Venice Beach, CA, and loves the 405.